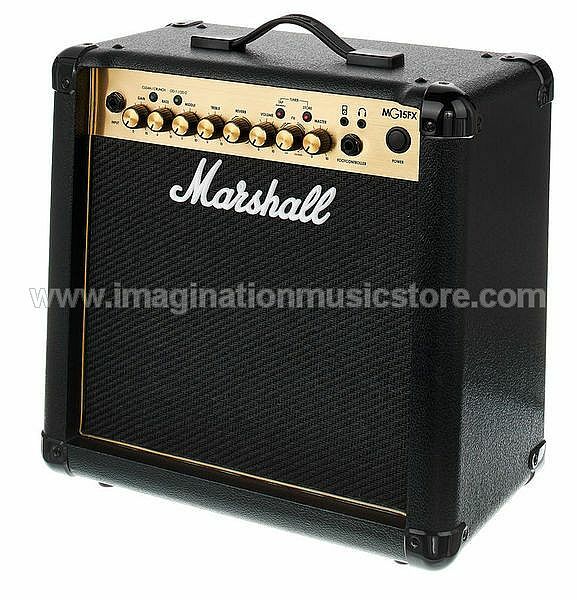 The MG15GFX is loaded with pure Marshall tone. You get your choice of Clean, Crunch, OD1, and OD2 channels that you can shape with a 3-band EQ. You also get integrated reverb, delay, and other digital effects. Best of all, each channel's settings are storable and recallable. The MG15GFX is loud enough to rattle the windows during practice sessions, while its revolutionary solid-state design convincingly emulates a tube amp's tone and response. Beyond that, the MG15GFX supplies you with a line input for music players and emulated headphone and line outputs. 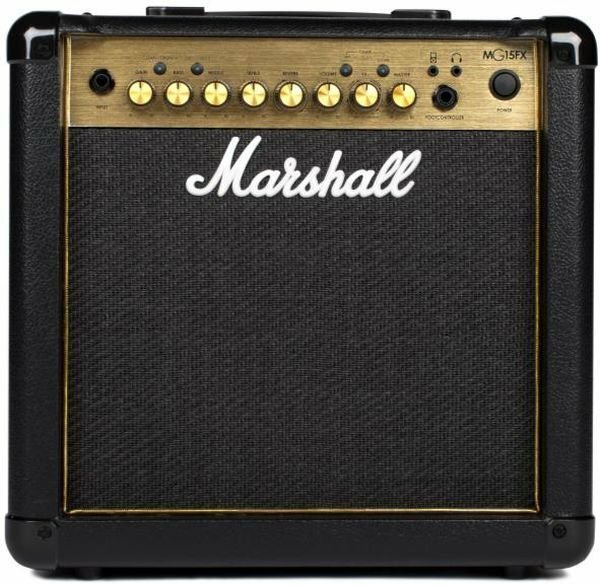 Part of Marshall's MG Gold series, the MG15GFX is a great-sounding, feature-packed practice amp. Jim Marshall didn't start out building great amps. In fact, his entry into the amp world came about in part because the drummers that visited his music shop for equipment and lessons often brought along their guitar players. Conversations about their amplification needs led to the birth of a line of amps that would eventually change the sound of music. From those first humble creations to Pete Townshend's first monster full stacks; from the mid-'60s combos to Hendrix to backlines of multiple Marshall rigs, there's a reason why so many guitarists (including quite a few here at Sweetwater) swear by Marshall amps. Try one out and see for yourself!